People from all over the world visit Sydney on a regular basis for many different reasons. Not only is the land itself beautiful and packed with incredible scenic beaches, as well as a gorgeous outback, Sydney offers great nightlife and other adventures for visitors to enjoy. 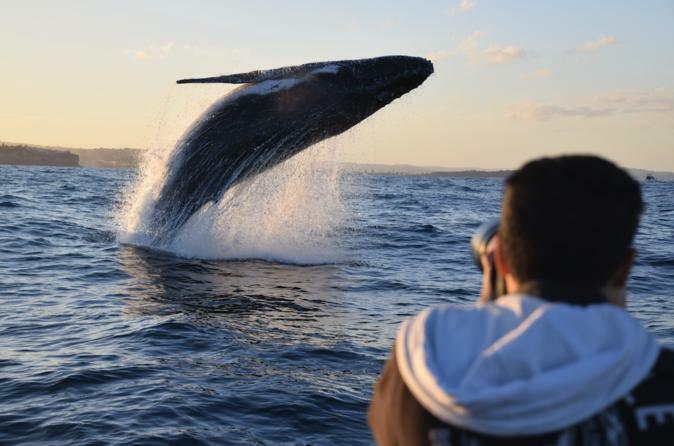 If you are lucky enough to get to visit Sydney, then you will definitely want to make sure that you take time to go whale watching, as this is one of the best locations in the world to do so. While you can go whale watching at any time during the year, the best time is during the winter, and these reasons will have you booking your trip right away. One thing that really makes whale watching in Sydney stand out from trying to see whales in another location throughout the world is that the whale watching cruises are so high quality. There are many different ports that you can leave from, which means that you can easily find a location near where you are already located. In addition to getting to see whales, you will also enjoy fascinating history and facts about the area, which really enriches the trip. A lot of people come to Australia because they know that the weather is so incredible, and this is true no matter if you are on land or out on a boat. Prime whale watching season is during the winter, as this is in the middle of the whale’s migration. Thanks to the fact that Sydney winters are generally mild, you can enjoy great weather when out on the boat. Sometimes, the days may be a little crisp or foggy, but this just adds to the sense of adventure that you will enjoy when trying to spot these magnificent creatures out on the water. Anyone who really wants to see whales knows that the best place in the world is Australia and that winter is the best time of year. Not only can you commonly see baleen and humpback whales, but it is also very normal to spot Bryde’s whales, pilot whales, orcas, minke whales, and even false killer whales. If you are feeling really adventurous and want to go farther from shore, then you may be lucky enough to spot dolphin pods and even sperm whales. Since the sightings are so common, chances are good that you won’t be disappointed. Any whale lover who dreams of seeing these creatures out in the wild needs to book a trip to Australia and visit Sydney for some of the best whale watching in the world. This really is the best way to enjoy seeing whales as they migrate and will give viewers an opportunity to see them up close and out in nature. When you book with a skilled guide, then you can rest easy knowing that you will have a great chance of seeing whales and that you will be able to learn a lot about them while out on the water. Planning Family Ski Vacations Just Like A Pro? © 2019 - Silk Road Traveller. All Rights Reserved.